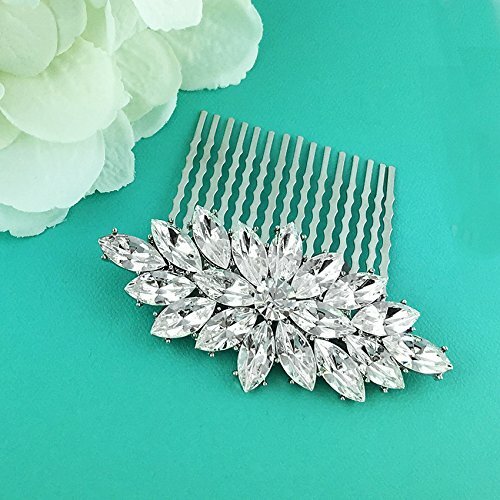 This exquisite comb features a brilliant, rhinestone vintage design that is the perfect accessory for the bride, wedding, prom or any special occasion event. This piece is perfect as a side or back comb accessory. Measures 2 1/2" wide and features marquise shaped Swarovski rhinestones. This comb has the ultimate sparkle! If you have any questions about this product by Ladorn, contact us by completing and submitting the form below. If you are looking for a specif part number, please include it with your message.